Seven days after the start of the Tibetan Uprising in 1959, His Holiness the 14th Dalai Lama awaited anxiously in the Potala Palace, his residence in Tibet’s capital city of Lhasa, as thousands of protestors gathered outside to revolt against the nine year Chinese occupation of the small Himalayan country. For the highest ranking Tibetan officials, the increasingly dangerous and hostile situation made clear that it was now vital to move their 23-year-old spiritual leader to safer lands. As the moon perched itself above the majestic Himalayas that night, the Dalai Lama dressed himself in the uniform of a solider, cunningly made his way through the impassioned crowds and disappear into the rugged mountain terrain. It wasn’t until after three long weeks of traveling through the treacherous Himalayas, however, when His Holiness along with an entourage of around 20 other Tibetan officials safely arrived at the Indian border. Fast forward until today, nearly 60 years later, and the devastating effects of the Tibet China conflict become clear to see as the Dalai Lama still hasn’t been able to return to his home country. Fortunately for him and Buddhists around the globe, the Indian government has offered Tibetan leadership and over 100,000 additional Tibetans citizens permanent exile and safety in the northern city of Dharamsala. Yet still, when considering the fact that His Holiness just celebrating his 82nd birthday on July 26th, 2017, and also that prominent Tibetan Buddhist officials will eventually rely on complicated traditions and practices to identify his future reincarnation, Tibet’s precarious future comes into direct focus. It was nine years before the 14th Dalai Lama’s infamous exile escape when the Chinese military initially descended upon Tibet, yet because nearly all Tibetans are devout Buddhists, living in accordance with teaching on compassion, non-violence and peace, this initial invasion was met with little resistance. It wasn’t until the Chinese presence continued to grow and their aggression towards Tibetan culture became more hostile did the Tibetan Uprising come to fruition. Nonetheless, the now infamous revolutionary attempt was quickly thwarted by the all powerful Chinese military after only 11 days. Unfortunately, China’s willingness to use violent force against uprising Tibetans left an estimated 85,000 dead with another 80,000 fleeing the country in the footsteps of their undisputed leader. Although there has been on-again off-again dialogue aimed at resolving the Tibet China conflict since the initial invasion, there has also been reoccurring periods of violence which has left numerous dead. According to some humanitarian organizations and historians, many of whom see the situation as a mass genocide, over 1 million Tibetans have died at the hands of the Chinese military and hundreds of thousands more have been forced to flee into exile. Still today, the Tibetan people living in the autonomous region of Tibet are unable to openly practice their religion, show reverenced towards the Dalai Lama or celebrate their own unique culture, and many believe that China’s ultimate goal is to completely disseminate the Tibetan way-of-life. In regard to the ominous future of the Tibet China conflict, the Panchen Lama’s story illuminates the precarious place Tibetans find themselves in because they fear a similar reincarnation scenario, albeit a much more detrimental one, may play out in the future. It was on May 14th, 1995, when the 14th Dalai Lama, sticking to traditional reincarnation proceeding, recognized a six-year-old boy by the name of Gedhun Choekyi Nyima as the 11th Panchen Lama, the reincarnation of the 10th, before he was taken into custody by Chinese forces. Later that year, on December 8th, Chinese officially denounced the Dalai Lama’s appointment and proclaimed that a different child, Gyaincain Norbu, was in fact the reincarnated Panchen Lama. Still to this day, the whereabouts of the Panchen Lama rightfully appointed by the Dalai Lama remain a mystery. For Tibetans around the globe, the fear is that after their 82-year-old leader passes away, China will similarly chose an individual based upon his upbringing and their ability to mold him to think favorably of the Chinese way of life. Just like every other international conflict, China and Tibet offer strikingly different viewpoints about the governing rights of the now contested region. Where as Chinese leadership claims that Tibet has laid within China’s borders for over 800 years, since the time of the Yuan Dynasty, Tibetan leadership asserts that China unethically entered the country and used brute force to take over Lhasa and other populated cities. Additionally, although Tibet points to the fact that they previously had their own currency, flew their own flag and had signed numerous international treaties with other countries, Chinese officials tell us that Tibet has never been formally recognized as it’s own independent state. Yet still, what may be most astonishing is that China claims they liberated the Tibetan people from the governance of the Dalai Lama, a leader they believe is hiding a political agenda underneath his monk robes. While there are a variety of religious and political differences between the two countries, especially in how their leadership views freedoms of worship and expression, many scholar believe there to be more significant factors underlying the Chinese take over and continuous occupation. Because the geographical landscape of Tibet is considered to be some of the most mineral rich lands in the world, lands that China obtains vast economic benefits from, it’s easy to see why people think China’s continued occupation revolves around access to an abundance of minerals such as copper, gold, silver, lead, zinc, lithium and uranium. Over the past ten years, a number of additionally bothersome events have added to the great tragedy that is the Tibet China conflict. When considering the numerous instances of self-immolation, the destruction of iconic Tibetan Buddhist monasteries and a continuous drumbeat of harsh rhetoric from Chinese officials, it becomes clearer to see why the impartial independence of Tibet, and Tibetan Buddhism, is in such a perilous state. Unfortunately, the combination of China’s position as a predominant global power and their starch views on the governance of Tibet has discouraged other nations from taking political steps to ensure the liberties of Tibetans. 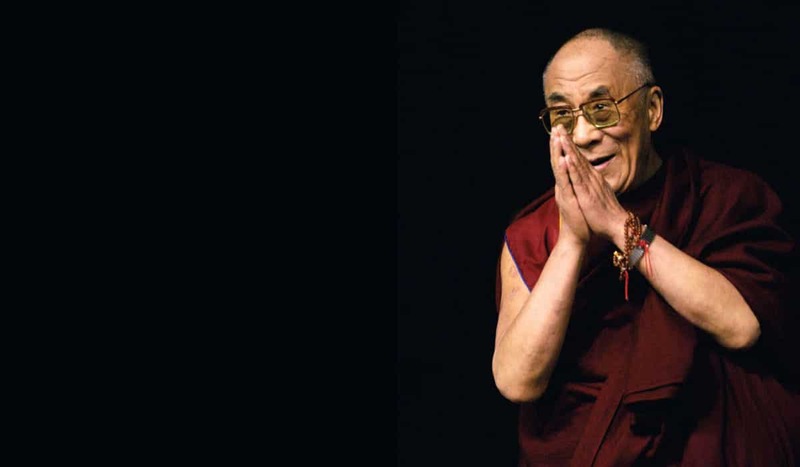 In 2011, with hopes of securing his people’s future religious and political freedoms, the 14th Dalai Lama relinquished his post as the political leader of Tibet, vowing only to focus on his spiritual responsibilities. Since stepping down, a accomplished Tibetan legal scholar and politician named Lobsang Sangay has taken on the role as chief executive of the Central Tibetan Administration, yet the outlook for the country and their national religion remains uncertain at best. As the 14th Dalai Lama has now moved into the later years of his life, China has amped up their efforts to gain further power over Tibetan culture and traditions. Because the Tibetan Buddhist theology is based upon the premise that a team of highly ranked monks and officials undertakes a lengthy search process to find the reincarnations of their most important spiritual leaders, and also because 98% of Tibetans reside within Chinese boarders, Beijing has went to great lengths to politically influence this process. In addition to their calculated actions with the 11th Panchen Lama, the Chinese government recently enacted the 2007 State Administration for Religious Affairs (SARA) regulation aimed at excluding foreign organizations and individuals from partaking in the reincarnation selection process. Additionally, China has done its best to undermine the Dalai Lama’s ability to freely choose where he reincarnates, ’determining’ that it must be within China’s boarders, and even stepped up political pressure on India to relinquish control of a disputed district in the Indian state of Arunachal Pradesh, known as Tawang, which is a potential birthplace for the 15th Dalai Lama. While there isn’t a single way to predict the future of the Tibet China conflict, a nearly 70-year history of cunning hostility illuminates what China’s future intentions are. Despite the fact that none of us can individually change the course of the dispute, together we can certainly make a difference by brining attention to the atrocities that’ve already taken place and promoting the future liberties of Tibetans. If you are interested in supporting the cause, you can find a plethora of organizations, such as Free Tibet and the International Campaign for Tibet, where you can turn your intentions into actions for the Tibetan people.